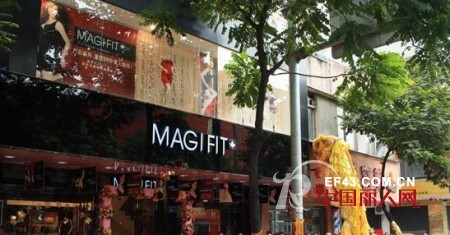 October 30, Meizhi Ting MAGIFIT underwear Guangzhou Huadu store grand opening. Canada Meizhi Ting President Greater China, Mr. 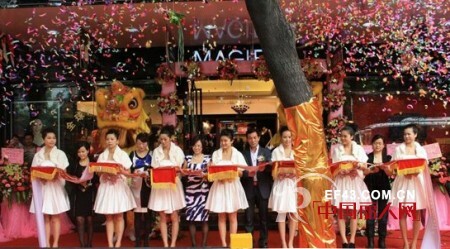 He Bingxiang, general manager of Miss Huang Ming, Miss He Zhixing special guests, MAGIFIT Huadu shop investors Miss Jiang Ya, Fashionable Mrs. Xu Peifen, Head of Huadu ladylife Leng Yunæ¥¹ Ms. attended the opening ceremony of the opening ceremony of MAGIFIT Huadu Branch. It is reported that the Meizhi Ting MAGIFIT Huadu store is Huadu's most upscale underwear shop, with a total of 160 square meters of luxury space up and down a layer for the Meizhi Ting MAGIFIT lingerie display, the second floor for the customer to discuss the rest area, dedicated To create a favorite Huadu ladies gatherings. Ribbon-cutting ceremony, Miss Jiang Ya Huadu delivered a warm speech, thanks to MAGIFIT headquarters Huadu strong support for their first business found MAGIFIT Meizhi Ting such a good brand, and expressed certainty MAGIFIT Huadu will create a model lingerie shop in Huadu. Mr. He Bingxiang, President of Meizhi Ting Greater China Region, highly praised the positioning and decoration style of Huadu District Store and Miss Jiang Ya's business philosophy and conducted a professional analysis on the consumption environment in Huadu District, hoping that MAGIFIT Huadu Branch Within 3 years Huadu shaping underwear as a well-deserved leader. Opening day, MAGIFIT grand ribbon-cutting ceremony, lively lion dance performances, attracting hundreds of passers-by stop. Huadu Branch also invited two foreign trump card underwear models static live show, become the highlight of the opening day. At the same time, Huadu district Focus Media, "Southern Metropolis Daily", SMS platform, outdoor LED advertising screen around the MAGIFIT Mei Zhi Ting Huadu Branch opened a large-scale, three-dimensional advertising bombing. Huadu shop a series of generous action for the successful operation of Huadu shop laid a good foundation, the opening day will hit a few million in sales!